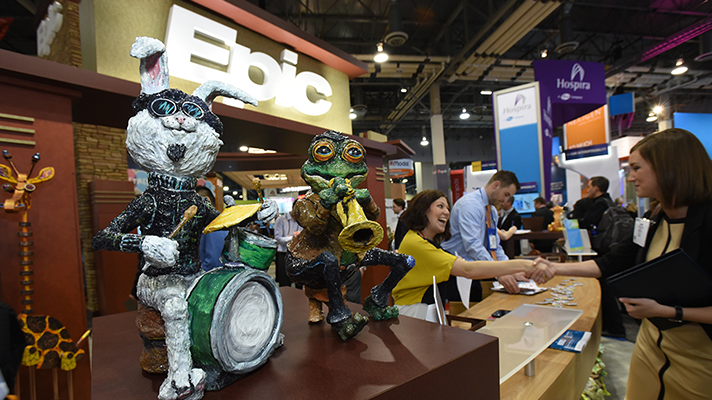 Epic Systems announced on Tuesday afternoon the One Virtual System Worldwide initiative for clinicians across all organizations using Epic to exchange data and collaborate more around it. The overarching One Virtual System Worldwide effort is composed of three pieces: Come Together is about gathering data while Happy Together is presenting information in digestible formats and Working Together is the piece wherein users take cross-organizational actions based on the data. All of Epic’s customers are connected through Care Everywhere, Furhrmann said. The Come Together initiative builds on that to find patient records and bring their data together not only from Epic clients but also hospitals that use rival vendors’ EHRs, as well as government and networks, Furhmann said. Epic customers exchange more than 2.3 million patient records everyday day, not just Epic-to-Epic, Furhmann added, but it also includes other exchanges with government agencies, health information exchanges. “We connect pretty much all the major EHR vendors as well as the major HIE members, and many thousands of organizations,” Furhmann added. All Epic customers are also part of CareQuality, a framework for sharing networks, and approximately two-thirds of the people in the United States have a current record in Epic, according to company numbers.